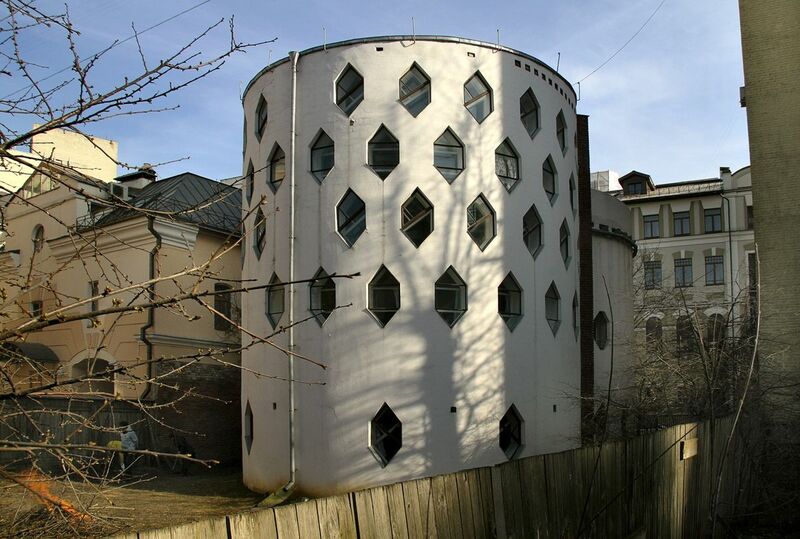 Depicts: the facade of the house-workshop of Melnikov the architect, Moscow. The gray hexagons are cut out from the postcard repeating the shape of real windows of the House which is located in Moscow. This amazing postcard I bought at the popular bookstore in Moscow.